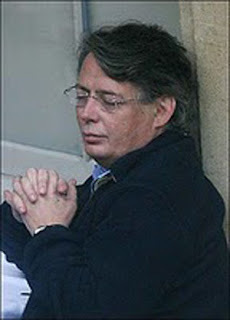 There is before the Court a preliminary issue in an appeal by the Appellant, Kevin Halligen, against a decision by the Secretary of State for the Home Department made on 22 December 2010 to order his extradition to the USA. The preliminary issue is whether the court has jurisdiction to entertain the appeal or whether, as contended by the Respondent, the Secretary of State, and the Interested Party, the Government of the United States of America, the appeal is statute barred. The appeal came on the papers on 1 March 2011 before Pill LJ sitting in the Divisional Court and he ordered that there be a hearing on this preliminary issue. The principal question on which this preliminary issue turns is whether the requirements as to service of the notice of appeal, with which on its face the Appellant accepts that he did not comply, should nonetheless on the facts of this case be taken as having been complied with. (i) On 22 December 2010 the Secretary of State notified the Appellant of her decision to order his extradition under the provisions of Part 2 of the Extradition Act 2003 ("the 2003 Act"). (ii) The notification was contained in a decision letter from Julian Gibbs, an official at the extradition section of the judicial co-operation unit of the respondent, which, together with a copy of extradition order, was faxed to the Appellant's former solicitors, Janes Solicitors by Gemma Kelly, another official in the extradition unit. It is not clear whether the fax was sent at 1548pm or 1648pm. (v) on the same day the Appellant wrote a handwritten letter to Mr. Gibbs and Ms Kelly, addressed to Ms Kelly, in response to Ms Kelly's fax and Mr.Gibbs' letter, inviting her to treat his letter as notice and service of his intent to appeal. The letter contained the Appellant's name and address at HM Prison Wandsworth. It referred to a request by the United States of America for his extradition with a reference number. The letter acknowledged receipt of Ms Kelly's fax of the same date containing the letter from Mr. Gibbs and the decision to proceed with his extradition. It continued: "Given the timing of receipt of the fax and letter and the extended holiday period, please accept this letter as notice and service of my intent to appeal that decision. My solicitors and counsel have been duly instructed and this letter is only necessitated by the imposed due date of 4 January 2011 and my inability to make contact with them given the restrictions imposed by HMP Wandsworth. Please confirm receipt of this letter as soon as possible to me at the above details. Yours Sincerely, K. Halligen." (vii) on 5 January 2011 the Appellant's former solicitors faxed to the Crown Prosecution Service, on behalf of the Interested Party, a copy of the sealed Notice of Appeal which had been filed at the court on 29 December 2010. Prima facie this was out of time. (viii) On 6 January 2011 the Secretary of State was also served with notice of the Appellant's appeal. The documents had been sent by post the previous day by the Appellant's former solicitors. Again on its face this also was out of time. (4) Notice of an appeal under this section must be given in accordance with the rules of court before the end of the permitted period, which is fourteen days starting with the day of which the Secretary of State informs the person of the order under sectioN100(1)." "All parties to an appeal must comply with practice direction 52." "Where an appeal is brought under section 108 of the Act the Appellant's notice must be filed and served before the expiry of the 14 days starting with the day on which the Secretary of State informs the person that he has ordered his extradition." (b) the Home Office, if they are not a party to the appeal, in addition to the persons to be to be served under rule 52.4(3) and in accordance with that rule." (b) in any event, not later than seven days after it is filed." It is accepted on behalf of the appellant that the decision in Mucelli v Government of Albania and Moulai v Deputy Prosecutor in Creteil, France  1 WLR 276 is authority for the proposition that giving notice, for the purposes of the statutory appeals process under Part 2 of the 2003 Act, entails both filing and serving notice of appeal and that the fourteen day permitted period for giving notice cannot be extended by the Court invoking its powers under the Civil Procedure Rules ('CPR'). The provision with which the House of Lords was concerned was Section 26 of the 2003 Act. (4) Notice of appeal under this section must be given in accordance the with the rules of the court before the end of the permitted period, which is 7 days starting on the day the order is made. It will be observed that the critical language in section 108(4) is the same as that in section 26(4): "Notice of appeal under this section must be given in accordance with rules of court before the end of the permitted period". The difference is that in section 26 the end period is 7 days starting with the day on which the order sought to be appealed is made, whereas in section 108 it is fourteen days starting with the day on which the Secretary of State informs the person of the order under section 100(1). This reflects the fact that under section 26 appeal lies against an order of the judge, whereas under section 108 it lies against an order of the Secretary of State who has ordered his extradition. (ii) secondly, whichever is meant, is such judicial discretion as is ordinarily available under the rules of court - variously to extend time for compliance with any rule (CPR r.3.1(2)(a), to vary the time-limit for filing an appeal under notice (rule 52.6(1), to dispense with service (rule 6.9), or perhaps more generally to remedy errors (rule 3.10) – available in this context to overcome any failure to give notice within the specified time? "(Paragraph 32). In both Moulai and Mucelli the notice of the proposed appeal was filed with the court within the specified time. The only issue was whether the notice of appeal in each case had been served within the specified time limit. Lord Brown, with whose speech Lord Carswell agreed, concluded that section 26(4) (the analogous provision in the Part 1 of the 2003 Act) required the notice of any appeal to be both filed and served within the stipulated seven-day period and that being a statutory time limit this could not be extended. Accordingly, the court's ordinarily procedural powers set out in the CPR would only operate insofar as would be consistent with the filing and serving of the notice before the statutory time limit expired. "Against this background it seems to me tolerably plain both that section 26(4) is requiring the notice of any appeal to be both filed and served within the stipulated seven day period and that this, being a statutory time limit, is unextendable. The rules of court are to dictate everything about the filing and serving of the notice save only the period within which this must be done; this is expressly dictated by the section itself. Whatever discretions arise under the rules are exercisable only in so far as is consistent with the filing and serving of the notice before the statutory time limit expires." (Paragraph 38).
" 73. The second question of principle is whether there is any basis on which the court could extend time for filing or service under sections 26(4) and 103(9). Again, I shall deal first with the position under section 26. 74. On the face of it, at any rate, there is a clear and unqualified statutory time-limit, namely seven days, and there would therefore seem to be no basis upon which it could be extended. In that connection, viewed from the English and Welsh perspective, I would refer to the Civil Procedure Rules, which contain provisions whereby the court can extend time for the taking of any step, under CPR r 3.1(2)(a), can make an order remedying any error of procedure, under CPR r 3.10, or can make an order dispensing with service of documents under CPR r 6.9. However, these powers cannot be invoked to extend a statutory time-limit or to avoid service required by statute, unless of course, the statute so provides. Apart from being correct as a matter of principle, this conclusion follows from CPR r 3.2 (a) which refers to the time limits in "any rule, practice directions or court order", and from CPR r 6.1 (a) [which] states that the rules in CPR Pt 6 apply, "except where….any other enactment… makes a different provision". 78 It is true that the Practice Direction to CPR Pt 5.2, and the prescribed form of the notice of appeal both suggest that the court's powers to extend time under the CPR apply to the appeal process. As a general proposition this is of course, true, but it does not follow that the draftsman of those documents considered, let alone was stating, that the court must have such power in relation to every type of appeal. In any event, CPR r 52.1 (4) makes it clear that the provisions of CPR Pt 52 are "subject to any rule, enactment or practice direction which sets out special provisions with regard to any particular category of appeal", and the practice direction is brought into effect through CPR r 52.2. 79 The Divisional Court in the Moulai appeal thought that the court could none the less dispense with service of the appeal notice under CPR r 6.9 (although they declined to make such an order in the event). I do not agree. If, as I have concluded section 26 (4) requires the appellant's notice to be filed and served within seven days, the court can no more make an order dispensing with service than it can extend the time. This conclusion arrived at in a case where the dispensing of service is being sought to avoid having to serve at all or to avoid the seven day time limit, does not preclude the possibility of the court making an order for substituted service in appropriate cases under the 2003 Act. Indeed, on exceptional facts (e.g. where the respondent was evading service), the court might well order that service could be affected in a way that may well lead to the notice not being received by the respondent within the seven day period, or even – conceivably – at all. 80 For these reasons, I consider that it is not open to the court to extend time under section 26(4) or to dispense with service of the notice of appeal. For the same reasons, I reach the same conclusion in relation to section 103(9)." The Secretary of State relying on the decision of the House of Lords in Mucelli submits that the court has no grounds to entertain an appeal no notice of appeal having been given within the fourteen day period prescribed by section 108 of the 2003 Act and the court having no power under the CPR to waive or abridge the strict requirement imposed by section 108(4). On behalf of the appellant Mr. Vullo (in writing) and Mr. Patience advanced two principal submissions. First reliance was placed on the hand written letter sent by the appellant to Ms Kelly dated 29 December 2010. This letter it was submitted should be deemed to constitute valid service of his appellant's notice on the Secretary of State within the statutory time frame. Although the form of the notice was deficient, that was a deficiency which went merely to the form of the notice or the manner In which notice was given so that the decision in Mucelli did not preclude the court from exercising its powers under CPR rule 4(2) or rule 3(10) to remedy the deficiency. All that was prevented by the decision Mucelli from being remedied by the court's powers under the CPR is the time within which notice of an appeal is given, not the manner in which it is given. Mr Patience submitted that the appellant's letter dated 29 December 2010 purported to be service of the appellants Notice of Appeal and that its deficiency related to the form of the notice of appeal not to the timing of its service on the Secretary of State such that the power of the court to forgive the deficiency under one or other of the rules of the CPR is not precluded by the decision of the House of Lords in Mucelli. In support of this submission he relied on the decision of Collins J in Kane v Spain  EWHC 824 (Admin). He submitted that that decision supported the proposition that the 2003 Act does not require service within the statutory period of the sealed notice of appeal which has already been filed with the court, but merely service of a draft copy of the notice of appeal. This is an issue on which there have been conflicting decisions in the Divisional Court and the Administration court. In Poland v Walerianczyk  EWHC 2149 (Admin) Stanley Burnton LJ and Nicol J held that service of a draft Notice of Appeal followed by the filing of the Notice of Appeal itself is not capable of complying with the requirement that Notice of Appeal be given within the permitted period. In Kane v Spain Collins J declined to follow the decision in Poland, holding that section 26(4) of the 2003 Act does not require that service of the Notice of Appeal on the Respondent must post date its filing in the court (see paragraph 50). In my judgment the decision of Collins J in Kane v Spain does not assist the Appellant and it is not necessary for the purposes of deciding this preliminary issue to embark on a detailed comparative analysis of the judgment in that case and the Walerianczyk case. In Kane v Spain itself the document on which reliance was placed for the purposes of satisfying the requirements of section 26(4) was a copy of the completed form N161 Notice of Appeal which may have been served by fax shortly before the original was filed at court. Thereafter the first page only of the sealed Notice of Appeal was served by fax. Collins J held that service of the unsealed copy of the Notice of Appeal prior to its having been filed complied with section 26(4). "19. What matters for the purpose of giving the necessary information, as is made clear by what Lord Justice Stanley Burnton said in paragraph 14, is that the respondent should know that an appeal is being pursued." "22. It follows, as it seems to me from that, that a notice of appeal simply means what it says, namely that the individual has filled out the relevant form or document and has indicated on that that he is appealing. He must, of course, file it and he must serve a copy of it on the Crown Prosecution Service. But it does not follow – and in my judgment cannot follow – that it is necessary for the filing in the court to come before the service on the respondent. The respondent will know that it is said that he has filed a notice of appeal and thus the notice of appeal is pending....."
38. It follows, as it seems to me, also from that that the distinction that is sought to be drawn between a notice and a draft notice, is one which cannot be relevant or appropriate in the circumstances of an extradition appeal such as this. The notice is a notice of appeal. It does not matter that it has not yet been filed in court. True, I suppose, that it is possible that there may be variations. But those variations would only be in the contents of the notice. The fact that there is an appeal and that appeal is being commenced cannot be changed. That is the only fact that is essential for the purposes of the proper commencement of an appeal. Any failure to comply with the rules and what is contained in that notice – for example, grounds – can be dealt with by the court by making orders to require compliance because they are procedural irregularities which can be cured through CPR 3.10. 39. Thus I would construe the notice of appeal in section 26(4) to mean no more than notice that an appeal is being brought, not necessarily to extend to the grounds or the other contents of that notice. It seems to me at any other construction would mean that the full period of seven days was not given to an appellant." In this case, what was served by the appellant was not a notice of appeal and, unlike the document which was served in Kane v Spain, did not purport to be a draft Notice of Appeal. The letter dated 29th December did not purport to give notice that an appeal had been filed or commenced or even that it was being filed or commenced. There was no reference to the fact that in fact a Notice of Appeal was going to be or had been filed that day. Rather what it gave notice of was merely the appellant's intention to appeal to which end he indicated that he had instructed solicitors and counsel. In my judgment that cannot be said to constitute a notice of appeal or even a draft notice of appeal. Thus even if Collins J in Kane v Spain is right that service of a draft notice of appeal within time but prior to the filing of the Notice of Appeal at court is capable of satisfying the requirements of section 108(4) or section 26(4) and this court in Walerianczyk was wrong that it is not, that would not avail the appellant in this case. There was here no service on 29 December of even a draft notice of appeal or indeed anything that would satisfy even Collins J's description of the relevant form or document on which the individual has indicated that he is appealing. In the leading judgment with which Collins J. agreed Sullivan LJ rejected a submission that it is sufficient in order to give notice of an appeal that the Respondent was given a document which made it plain that there was a notice of appeal and which told the Respondent what the reference number of that appeal was. "It is plain, in my judgment, from the decision in Mucelli that was is required for the purpose of service is, at the very least, service of a document that can be said to be a notice of appeal (see for example the speech of Lord Brown at paragraph 38)." (Paragraph 15). In that case an employee of the Appellant's then solicitors filed a notice of appeal with the Administrative Court Office (ACO) and then served on the Crown Prosecution Service a bundle which was supposed to include a copy of the Appellant's notice. By error in fact he served only the covering letter which stated (incorrectly): "Please find enclosed the appeal bundle containing the following: Appellant's notice…….."
Sullivan LJ held that, as was accepted by Counsel for the Appellant, the covering letter did not purport to be and was not itself capable of being regarded as a notice of appeal even though it referred to the existence of a notice of appeal and grounds of appeal: "A letter which tells the reader that there is a notice of appeal is not itself that notice of appeal for the purposes of Section 26(4). It merely tells the reader that there is another document which is such a notice. (Paragraph 14). Sullivan LJ pointed out that it was a common feature of all the cases to which he had referred in his judgment (which included Mucelli, Poland v Walerianczyk and Kane v Spain) there was a document served which could be said to be a notice of appeal. He went on to say: "However if that is not right and all that was needed was that the appellant should provide a letter in effect saying "I have appealed and the reference number of my appeal is such and such" even that requirement was not, on the facts of this case, complied with. That is because the letter that was left with the Respondent did not include the Administrative Court reference number. (Paragraph 16). That was the case even though the CPS representative on whom the appeal bundle was served had been shown a letter including the Administrative Court reference number which was then taken away from her by the employee of the Appellant's solicitors: "Thus the CPS was not even given, save for the briefest of glances, an Administrative Court reference number for the appeal. Therefore, even if the assumption that I am for the present purposes to make in favour of the appellant that something that can be called a notice of appeal must be served on the Respondent, is too onerous, there is nothing given to the Respondent which gave it even the most basic information such as the Administrative Court reference number of the appeal that had been filed. It follows in my view that that there was no document which was capable of being described as a notice of appeal serviced upon the Respondent within the seven day period. If there is no such document then there is nothing in the CPR which can avail the Appellant. It follows that this court, in my view, does not have jurisdiction to consider this appeal." (Paragraph 16 & 17). Collins J and Treacy J agreed with Sullivan LJ that the court had no jurisdiction in the matter, Collins J stating that he entirely agreed with Sullivan LJ's judgment. The facts in Szelagowski were extreme, as Sullivan LJ emphasised. The Appellant in that case was blameless. There was no doubt that he intended to appeal and there was equally no doubt that on receipt of the covering letter the Respondent knew that the Appellant wished to appeal. The fact that the court was nonetheless driven to the unanimous conclusion that it had no jurisdiction to entertain the appeal demonstrated as Sullivan LJ emphasised "How a rigid statutory time limit which cannot be extended under any circumstances can work injustice in practice, but the statutory scheme is very clear." (Paragraph 18). I would with respect agree with that observation. The facts of this case are somewhat less extreme in that the letter relied did not refer to an existing notice of appeal and in terms was merely the expression of an intention to appeal. It was nonetheless clear from the letter that the Appellant did indeed intend to appeal that he had instructed solicitors and counsel to that end, that he was conscious of the statutory time limit and concerned to comply with it and conscious of his dependence on the conduct of his legal advisors, which was beyond his control, to comply with the statutory time limit. There was no evidence before us as to why service of the notice of appeal by the Appellant's former solicitors on the Respondent and the CPS was not effected until respectively 5th and 6th January 2011, that is to say respectively one and two days outside the fourteen day time limit. However, there was no suggestion that this was the fault of the Appellant. It would seem to offend basic principles of fairness that a person served with a notice of extradition should be deprived of a statutory right of appeal through no fault of his own. A document, other than a claim form, served within the United Kingdom in accordance with these Rules or any relevant practice directions is deemed to be served on the day shown in the following table….. 4. fax – if the transmission of the fax is completed on a business day before 4.30pm, on that day; or in any other case, on the next business day after the day on which it was transmitted." The Appellant submitted that on the basis that the faxed notification of the Secretary of State's decision to extradite was not sent until 1648pm on 22 December 2010 the effect of CPR Rule 6.26 is that the notification was deemed to have been sent on 23 December 2010 with the consequence that the fourteen day permitted period in which the Appellant was required to give notice of Appeal did not commence until 23 December 2010. Therefore it was submitted the sealed copy of the Appellant's notice which was faxed to the CPS on 5 January 2011 constituted valid service with the statutory fourteen day time frame. Mr. Patience referred to a number of authorities for the purpose of submitting that none of them constitutes binding authority requiring this court to reject the Appellant's alternative submission. It is in my judgment unnecessary to refer to those authorities. That is because it is, in my judgment, clear beyond argument that Rule 6.26 has no application to the fax by which the Secretary of State informed the Appellant of the order that he be extradited. It is true that Section 100(4) of the 2003 Act defines the permitted period before the end of which notice of an appeal under that section must be given as "fourteen days starting with the date on which the Secretary of State informs the person of the order under Section 100(1)." However, it does not follow from that that the document by which the Secretary of State informs the extradited person of the order she has made is a document served "in accordance with these Rules or any relevant practice directions" within the meaning of CPR Rule 6.26. The CPR lays down no Rule or practice direction governing the means by which the Secretary of State is to inform a person that she has made an extradition order under Section 100(1) of the 2003 Act. There is thus no mechanism by which Rule 6.26 is engaged so far as concerns the fax dated 22 December 2010. I would observe that in any event it is not clear to me how this submission could have availed the Appellant given the acknowledgment by Mr. Patience that it is not clear whether the fax was in fact sent at 1548pm, in which case even if Rule 6.26 did apply it would be treated as having been served on 22 December 2010, or 1648pm. Moreover even if the fourteen day period began on 23 December 2010 it was not suggested by Mr. Patience that the service on the Secretary of State on 6 January 2011 which was one of the requirements as to service laid down by a combination of Section 108(4) and practice direction 52.120, paragraph 26.6A(12), would have been within the fourteen day period. In their written submissions Mr. Vullo and Mr. Patience submitted that support was lent to their two main submissions by the obligation of the court under Section 3 of the Human Rights Act 1998 to interpret and apply primary and secondary legislation in a manner compatible within the Appellant's Conventions rights. Were the court to apply the CPR in any other way, and thus to rule that there had been no valid service, it would be forced so the argument went to conclude that his previous solicitors had not provided him with effective legal assistance. Having reached such a conclusion to deny him his right of appeal because of the errors of his solicitors would effectively to deny the Appellant his rights under Article 6 of the Convention, in that he would have been denied a fair hearing and in addition denied legal assistance in the Appellate process. In effect legal assistance does not, it was submitted, constitute legal assistance for the purposes of Article 6 of the Convention. In oral argument Mr. Patience clarified that the submission was intended to argue that in considering whether to exercise its power under CPR Rule 3.10 to rectify matters where there has been an error of procedure the court is bound by Section 3 of the Human Rights Act to construe Rule 3.10 in such a way as to require it to remedy the defective service of the Appellant's notice of appeal. In my judgment this submission fails at the preliminary hurdle. For the reasons given by the House of Lords in Mucelli the court has no jurisdiction to waive or amend the requirement as to service laid down by Section 108(4) of the 2003 Act. No question of exercising any discretion under Rule 3.10 arises. Nor can I accept the Appellant's alternative submission that Section 3 of the Human Rights Act requires the court to interpret Section 108(4) of the 2003 Act as defining the giving of notice of appeal so as to include giving notice of intention to appeal. Such a construction is not in my judgment necessary to render Section 108(4) compatible with Article 6 Convention rights of persons informed that the Secretary of State has made an order for their extradition. In further alternative it was submitted on behalf of the Appellant that to give practical effect to his Article 6 rights Section 3 of the Human Rights Act requires the court to interpret Section 108(4) of the 2003 Act in such a manner as to invoke its residual common law discretion (as envisaged in Mucelli at paragraph 83-85) to allow service outside the statutory time limit. In my judgment that submission proceeds on a misunderstanding of what Lord Neuberger stated in Mucelli. He was dealing in paragraph 83-85 with the question how the statutory time limit should be applied in circumstances where it is impossible to give notice on or during the final part of the last day of the relevant prescribed period. He was not thereby suggesting that the court retains a common law discretion to waive or extend the statutory period prescribed by Section 108(4) or Section 26(4) rather he was applying the relevant statutory time period to the facts of a hypothetical case where service on part of the last day was impossible because the Respondent's office was closed. There is no basis for suggesting that Section 3 of the Human Rights Act requires the court to apply the statutory fourteen day time period to the facts of this case so as to render the last day for service the 5th rather that 4th January 2011. For these reasons in my judgment the answer to the preliminary issue order by Pill LJ is that the court has no jurisdiction to entertain the Appellant's appeal.